Josh after his first lesson and is booking in for his manoeuvre lesson before he turns 17. Ferndown, Wimborne, West Moors, Poole, Broadstone, Corfe Mullen, Bournemouth, Ringwood, Dorset & Hampshire. Under 17 young drivers driving lessons give young drivers the opportunity to experience driving in a safe, controlled setting. 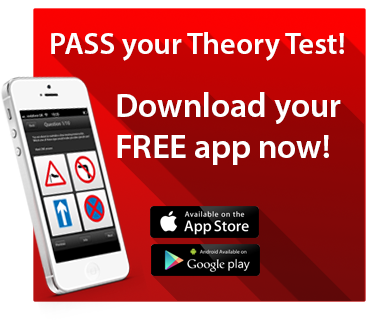 The Young Drivers Academy is fantastic fun for all, call now on 01202 891196 to book a lesson. Well done Megan (16) and Tom (14), what a great lesson learning turn in the road, reverse around a corner and parallel park all in one hour! Places for the Under 17 Driving Experience are on a first come, first served basis. You can secure your place by paying a small deposit of just £25.00. Pay the final £20.00 before or on the day. Once we receive your booking deposit we will contact you to arrange your Under 17 Driving Experience. Lucy in customer services will be delighted to answer your questions, listen to your requirements and check lesson availability in the Bournemouth area. You must have the consent in writing from a legal guardian, be 14 years old plus) and able to reach the pedals. ( approx 1.5m tall). To teach you how to stay safe and have fun whilst driving. Smiling is compulsory! Under the control of our fully qualified instructors we will guide you through the skills needed to steer, change gear, brake and reverse a car. 45 minutes is just £45.00. That is less than a new Xbox GAME! We are located within the grounds of Ferndown 1st School, Mountbatton Way. Your driving experience will last for an hour. On arrival please wait at the gates and we will come over and meet you. You are more than welcome to take any photgraphs etc as there is a safe place to wait and watch. There are many reasons for wanting to learn to drive but at 14 it has to be the excitement of actually being the one in control of the car! Although I am a few years older now I can still remember how I felt on my first ever lesson! So if you are looking for something different as a birthday gift or just to treat someone this will be a great experience. That first lesson was pretty scary and having other road users around made it at times terrifying. That’s why taking these first steps in a safe and pressure free area makes so much sense. Here you will be able to relax and you will learn so much faster that when you actually take to the roads you will have the skills to be able to fully concentrate and progress through our syllabus that you will take fewer lessons before sitting and passing your driving test. Its not an age criteria that makes a good driver its experience so the earlier you begin the chances are you will have more knowledge and remain safer. We are located within the grounds of Ferndown 1st School. Your driving experience will last an hour. There is no access for the general public as we are in a secure site and the gates will be shut behind us. There is a viewing area so you will be able to take photos and film if you wish. Your instructor will then get you driving straight away and take you through a programme that will have you steering correctly, braking in time, changing the gears smoothly and show you how to park a car which some adults still find extremely difficult! For anyone returning to the programme we can progress your lessons to a more advanced level. The more you learn off road the quicker you will take to the public roads.